Aloha! 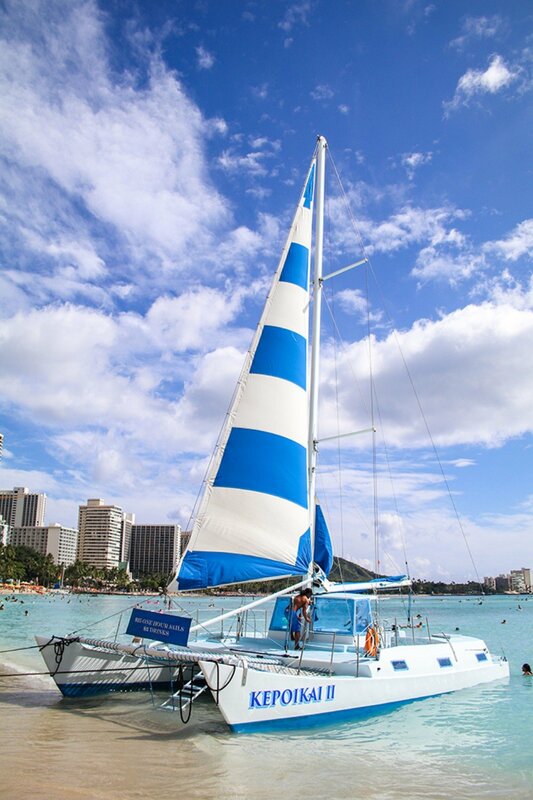 Welcome aboard one of the longest sailing catamarans on Waikiki Beach, Kepoikai II ! Set sail with us at your convenience whenever you want to start your ocean adventure! 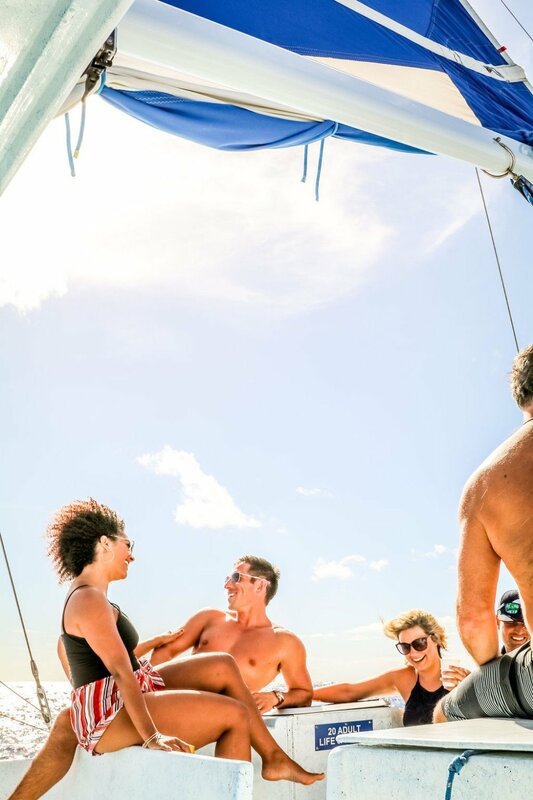 Let the ocean be your sanctuary away from it all and take a relaxing catamaran sail aboard the Kepoikai II. Experience the gorgeous night ambiance and beautiful sunsets of Waikiki Beach from a whole new perspective on our Sunset Sail experience. It is an amazing evening for couples, families and large groups. 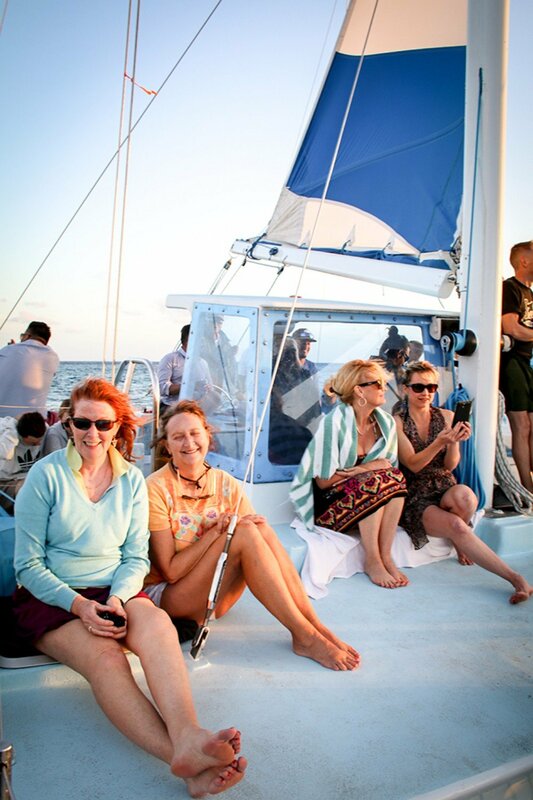 Our Private Charters are perfect for corporate outings, groups, private events, and parties! We are open to any special requests you may have. Enjoy a one hour sail aboard the Kepoikai II Catamaran straight from the iconic Waikiki beach with breathtaking views of Diamond Head and the Honolulu skyline. Enjoy beverages from the on-board bar while looking for Hawaii’s sea life all around you. Whales, dolphins, and sea turtles are just some of the friends you may see! Tag us on Facebook & Instagram! Use #SailKepoikai to be featured! TRUSTWORTHY? OUR CLIENTS BELIEVE SO. "Great staff. Cruise out to sea, have some drinks, get a nice view of Waikiki, and jump off the Catamaran into the ocean. It was a good day!" "We just went yesterday and had a fabulous time. The deck crew and captain are so fun and friendly. The cruise is just the right length and has just the right amount of excitement for all ages. I couldn't recommend this experience enough!" "Hands down the best boat in Waikiki! Been on the yellow boats before but none compares to the Kepoikai. Staff are awesome and very friendly. What can go wrong with $25 boat ride for an hour and $2 drinks beer and mai tais. Will be back again." "I love this boat! Jay, Zak and everyone is so great. They always treat me and my friends great. I've taken this ride many times. They are very knowledges about points of interest also." "Great boat with an awesome crew and captain. Cheapest Mai tai's on the island and an overall laid back experience. We did the sunset cruise and had a great time, a must if in Waikiki. BRING A Towel and clothes to get wet." "Beautiful! Awesome views, great atmosphere, helpful staff, great price! Capitan Jay is the man. And $2 drinks, you can't go wrong! Watch your head boarding from below at the beach and after that you're home free for an amazing ride!" © 2019 Kepoikai. Site by Innovade, Inc.